The MOTOmed letto2 leg/arm unit is the only motorized movement therapy device for recumbent patients that allows for a passive, assistive and active training of the legs and the arm/upper body muscles. The special design of the MOTOmed makes for a positioning from three different bed sides. The changeover from leg to arm/upper body training is carried out in a simple and fast manner. The quick release system is used to quickly switch between arm and leg training. Accessory parts (handles, foot shells) are deposited directly to the frame of the MOTOmed letto2 leg/arm in order to make it accessible to the medical staff at all times. Due to its pivoted bracket, the letto2 leg/arm can be positioned to the left or the right side of the bed. It can also be situated at the foot part of the bed. This makes movement therapy possible despite of special limitations. 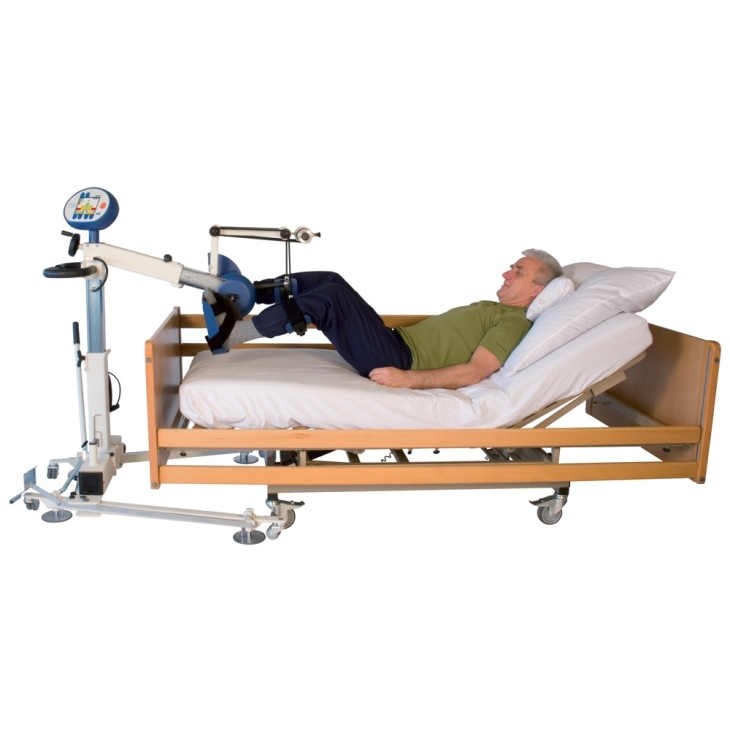 The letto2 leg/arm is standard equipped with a hydraulic height adjustment and a manual knee bending adjustment. The MOTOmed is fully approved by the German health insurance network . Therefore, under certain conditions there is a reimbursement of cost for patients with neurological conditions. You can test the MOTOmed letto2 leg/arm at no cost to you, and non binding. Contact your local sales representative.